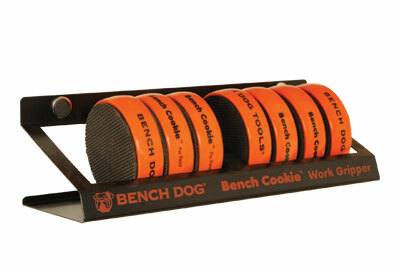 I have a few sets of Bench Ckokies on the go; in the workshop, at home and in my site bag. 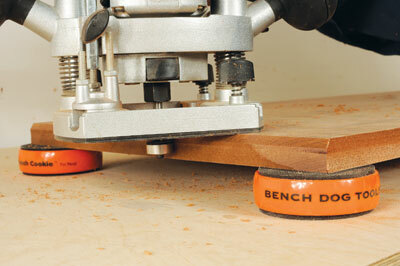 They're great for supporting work off the bench so you can rout, sand, plane, etc. without the need to clamp anything down. Faced with soft rubber pads that won't leave a mark these handy accessories are a real time saver. These new ones arrived from Bench Dog the other week complete with their own steel rack and have taken root on the wall above my bench. Sold in packs of four. I f you like the idea of Bench Cookies then you'll also find a use for these Bench Dog Cookie Cones. Just clip the cone onto your Cookies to raise the workpiece a little higher off the bench ready for finishing. 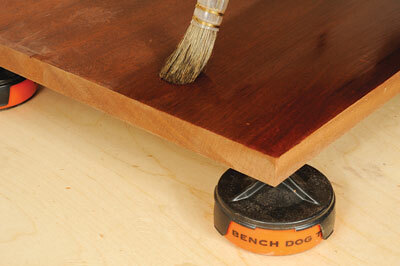 The cones protect the rubber pad from over-spray or runs from the finishing product. They are stackable and sold in packs of four. Practically a household name in the States Elmer's is set to launch a whole range of adhesives and fillers into the UK. We got hold of a few samples of their interior PVA and they have become firm favourites in the workshop. 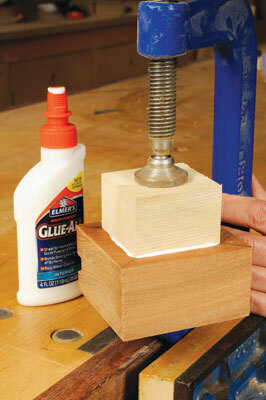 The slot hole nozzle is perfect for gluing up biscuits or spreading a wide band of adhesive at a constant rate. Push the nozzle down after use to prevent it from sealing up. The product is also non-toxic so it's safe to use around the home, as well as in the workshop. In fact, this handy adhesive will glue almost anything. The typical drying time is just 35 minutes, which means there are no unnecessary delays. This is a simple product and a joy to use.